He later talked to Cooper about his high-tech sleeping chamber that allows him to sleep at the equivalent of 8,500 feet above sea level. The $15,000 device removes oxygen from the room. 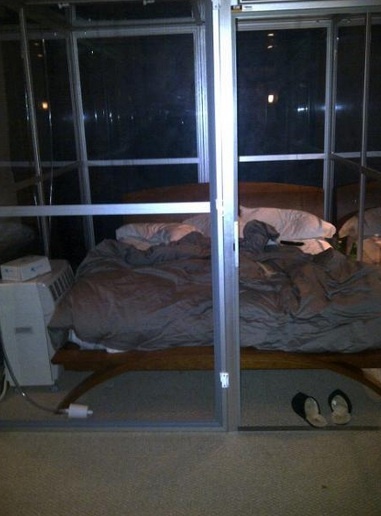 Hypoxico, the maker of the device, says on its website that its product "triggers the onset of a range of physiological adaptations geared towards enhancing the efficiency of the body's respiratory, cardiovascular and oxygen utilization systems." Phelps spoke of the oddity of having a separate chamber in which to sleep. "Once I'm already in my room i still have to open a door to get into my bed," he told Cooper. "It's just like a giant box. It's like the boy in the bubble." * OK, maybe it was the retirement. • Who gets the blame for the Predators' playoff collapse?